Rectangle Magnets make a beautiful product to give to your customers. Make a big impression by adding a calendar or sports schedule with your contact information that will last the entire year. 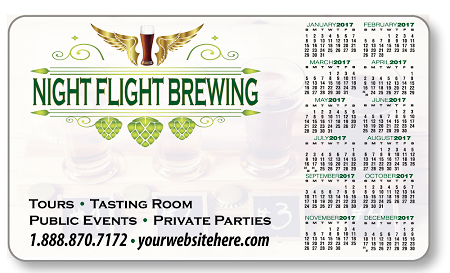 Magnets are printed in full-color and are available in 20, 25, or 30mil. thickness. Add a magnet to your next mailing or statement stuffer that will keep your name out in front of your customers.